Add an Irish heritage inspired look to any outfit this season with our toasty Irish Ladies Wool Cardigan. 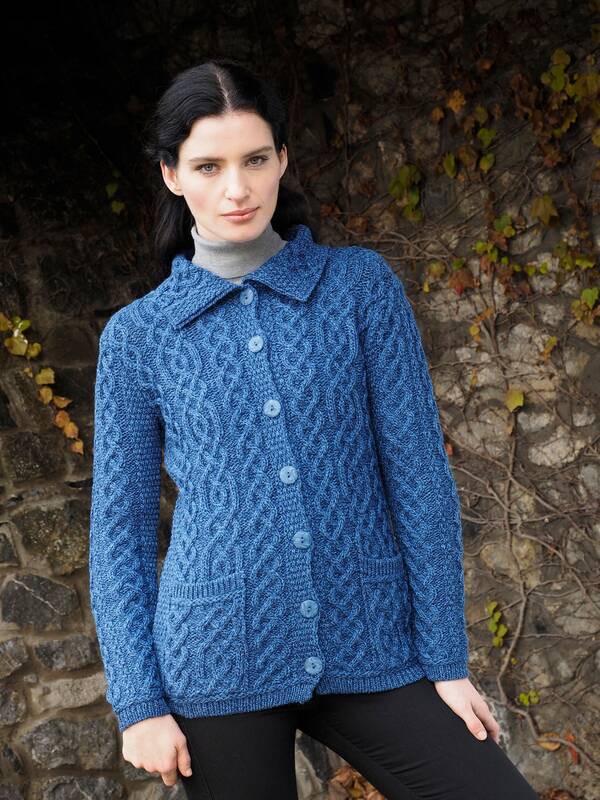 Made in Ireland using the finest softest and warmest merino wool, this cardigan will not let you down. 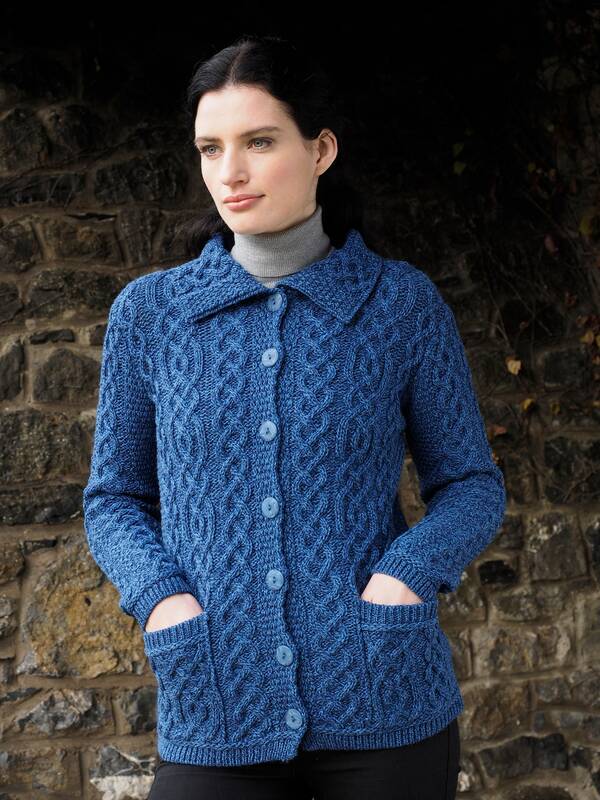 The color alone is contemporary fused with the aran islands style of knitting. Every lady should have an Irish cardigan or three!! !, in their wardrobe or closet. - 100% Wool, natural insulating and temperature regulator. Don't even except a wool blended with synthetic fibre.